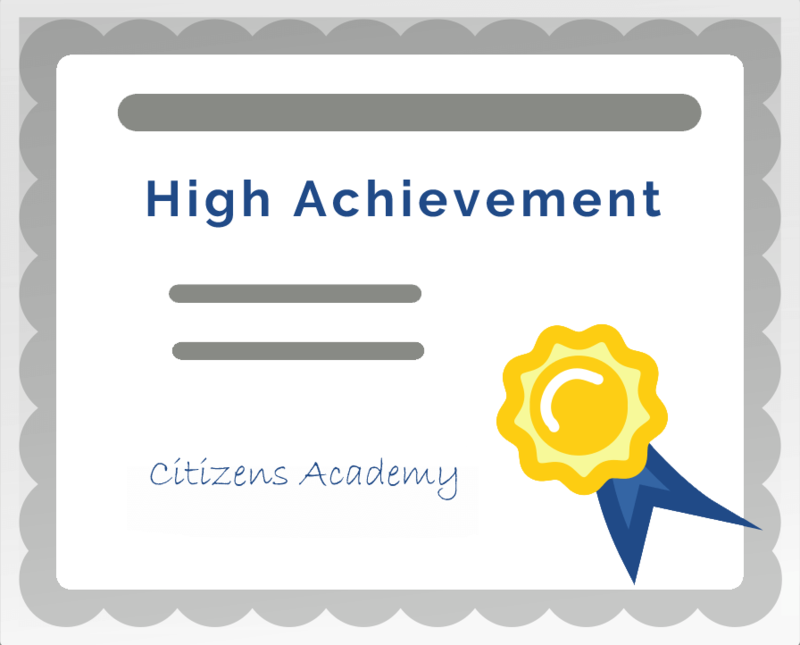 If you take a course through Hertfordshire Citizens' Academy, you are now able to earn certificates of completion if you manage to pass the module. When scoring seven or higher in any of our ten question end-of-module quizzes, you'll be presented with the option of downloading a certificate to mark your achievement. Simply click on the cerficate icon (as shown below) when passing a course quiz to download the certificate, enter your name and save or print off your certificate. Why not give one of our modules a go and try to earn your first certficate?